Since being admitted to The Florida Bar in 1985, she has devoted her practice to the representation of persons injured as a result of the negligence of others. From 1985 until 1991 she practiced with one of the country's top personal injury law firms in the areas of Plaintiff's Personal Injury, Medical Malpractice and Wrongful Death, both on the trial and appellate levels. In 1991 Diana formed her own practice specializing in Plaintiff's Personal Injury and Wrongful Death. 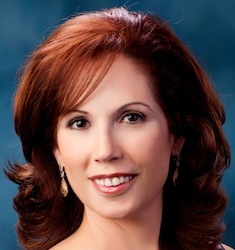 She is a member of the American Board of Trial Advocates as well as a past President of its Fort Lauderdale Chapter (www.abotafll.org); she is a Sustaining Member of the American Justice Association, a member of the National Trial Lawyers Association and is AV rated by the Martindale-Hubbell Law Directory. Throughout her law career and in addition to her practice, Diana has served the legal profession with distinction. She served a 4 year term as Commissioner on the State of Florida Supreme Court Judicial Nominating Commission and she served as adjunct Professor of Law at Nova Southeastern University Law Center. She is an active member of The Florida Bar and its Trial Bar, having lectured and written on numerous legal topics within her field, to include Seven Steps to Effective Mediation published in the June, 1997 TRIAL magazine as well as Guideline for Handling Sexual Abuse of a Minor by a Public School Teacher, published as part of a National Conference by the National Crime Victim Bar Association in Washington, D.C.
From 1996 - 2006 she served on the Board of Directors for the Academy of Florida Trial Lawyers ( n/k/a the Florida Justice Association) as well as on the Board of Directors for the Broward County Bar & Broward County Trial Lawyers Assn. ( n/k/a Broward Justice Assn.) . She was appointed by the Florida Bar in 2004 to the Florida Supreme Court's Commission on Professionalism and since 2013 has served on the Florida Bar Board of Governors for the 17th Judicial Circuit. Diana has been listed in Who's Who in American Law, The International Who's Who of Professionals and Outstanding Young Women of America. She has also been named to Florida’s Super Lawyers and is listed among the Best Lawyers in America. Aside from being a lawyer, Diana is a parent and has a particular interest in and sensitivity to protecting and preserving the rights of children and enhancing all aspects of public safety.